Teleperformance’s big topic is nearshoring for the German market. Although this is, in principle, not totally new, it is becoming more relevant in the current German market conditions. The necessary know-how has been available for a long time here. With Sky, we prove that we can quickly adapt our model for the German market. Oliver Viereck, Head of Outsourcing Vendor Management a.i. 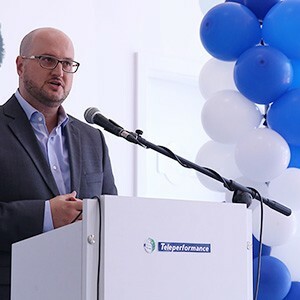 / Customer Service with Sky Germany spoke to us about his experiences with Teleperformance Germany in Pristina (Kosovo). Mr Viereck, we are very happy that you have agreed to talk to us. Please could you describe your role with Sky Germany. I am also pleased to have the opportunity to speak to you. I have been working in service provider management at Sky for three years and recently became Head of Outsourcing Vendor Management. My team manages external call-center agencies for inbound and outbound communication which deal with customer contact alongside our own in-house center. Before I joined Sky, I worked as a consultant in customer care and have been active in the customer care field since 1996. Could you describe Sky’s approach to customer service in more detail? One of Sky’s main priorities is to provide its customers with the best customer service using every communication channel, including “eCare”, that is to say self-service solutions, which are becoming more and more relevant. We have received major awards for our customer service in previous years. We now have three service centers of our own and have several external service providers at various locations on board. Has nearshoring played a role in this to date? No, we are entering unchartered waters with Teleperformance. We are trying it out for the first time with you. Have we awakened your interest in nearshoring or did we simply fit into Sky’s plan? We already had an interest in nearshoring because of the market conditions in Germany. We then looked for a suitable service provider via the tendering process and Teleperformance won us over. Primarily on account of reliability in developing the necessary capacity. The employees’ motivation and language skills are impressive. Added to this, call center jobs in Kosovo have a good reputation. This attracts motivated and well qualified employees. That response virtually answers the next question. 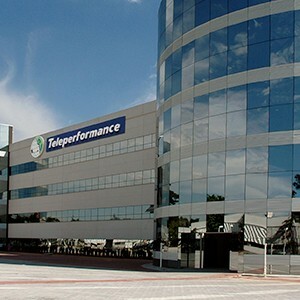 Which factors were decisive for Teleperformance? Apart from the aspects already mentioned, the high level of education and the labor market potential in Pristina were important points for us. Also, we mustn’t ignore the cost factor. But there are also operational challenges, such as for example handling German dialects or irony when dealing with cases. This requires intensive quality measures, for example in terms of training. It is particularly important to be able to follow clients’ argumentation correctly if one is to be able to help in a competent manner. It is also necessary to develop a Germany-oriented management and work culture where German is used in internal communication as well. A final question: what were the most clear-cut factors justifying your decision to choose Teleperformance? Here, I would say mainly the reliability and stability of management as well as the scalability of the tender. Mr Viereck, many thanks for an interesting discussion. We look forward to our future cooperation with Sky Germany. Brazil: Excellence in customer services award!